Address: Futurum (building 115), Stippeneng 2, 6708 WE Wageningen. How to get there. 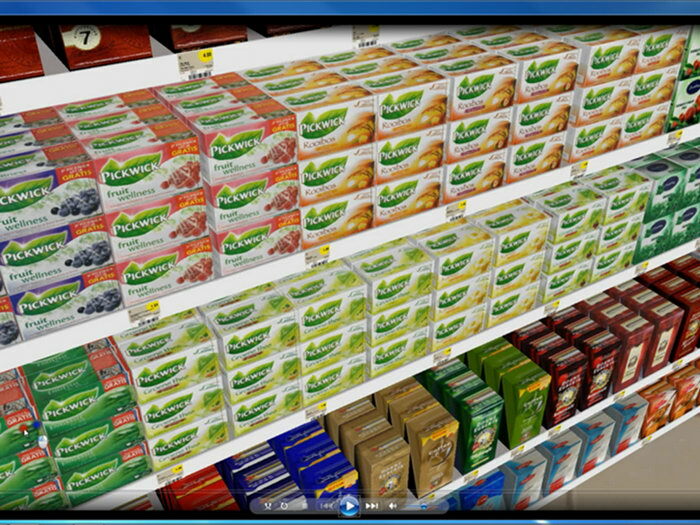 Wageningen UR presents the Virtual Supermarket & Restaurant at Measuring Behavior 2014. We would like to invite you for a tour in the real-life Restaurant of the Future to experience real-life and virtual versions of the same environment. The Virtual Supermarket & Restaurant, developed by GreenDino, is a research tool that offers a 3D shopping & consumption experience on three flatscreens. Wageningen UR uses it to explore the influence of supermarket and restaurant layout on consumer choice for healthier and more sustainable food products. At Measuring Behavior you will be invited to walk through the Virtual Supermarket & Restaurant and explore the research potential. We show a number of current experimental setups and discuss some recent results.